Winter Workouts – Snowshoeing, Try it! Newbies Guide to Catching Fish With Your Kid! Great Articles from the Past! 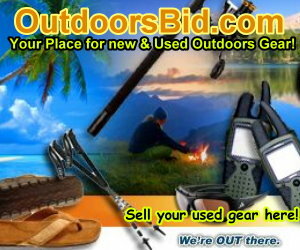 Buy & Sell Used Outdoors Gear! Pick a Category for more Great Info! Noah Van Hochman's unique, nonstandard perspectives on life, the universe and the outdoors are said to be due in part to the interesting cocktail of his massive intellect, boyish charm, fading good looks and of course, a colossal ego! With a philosophy and demeanor that seems to be more like equal parts of Doctor Evil and the Dalai Lama, rather than an Adventurer with an MBA, his alcohol-induced opinions will surely entertain and inform those who love their time under wild blue skies!